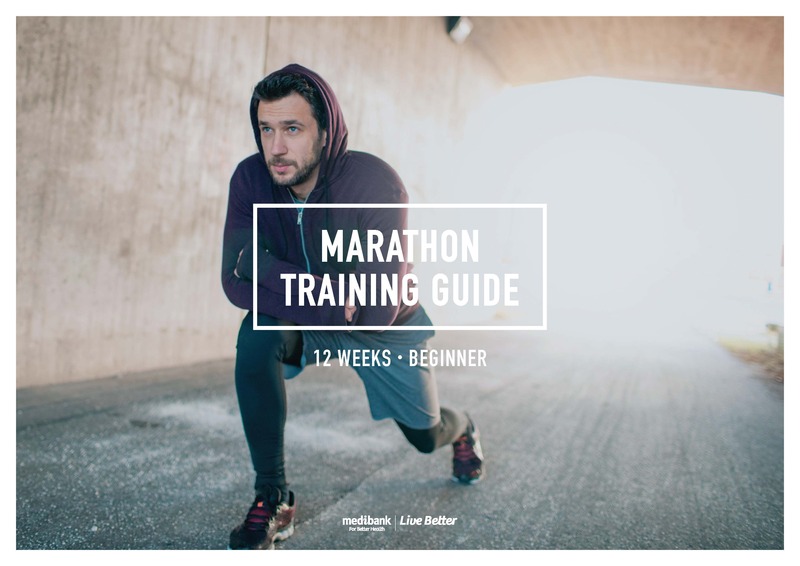 This training guide will get you running a marathon in 12 weeks, one step at a time. You’ve set yourself the challenge of your first marathon. Congratulations! This training program will build on your running endurance and get you ready to race in 12 weeks. Remember, everyone is an individual and your base level of fitness may vary. If you find some of the early runs in this guide a little challenging, consider completing the half marathon training program first to give yourself a strong base to work from. This 12 week training program is just that – a guide – so feel free to be a little flexible with it to make it work for you. If you want to swap some of the days, go ahead. If you miss a run, you can make it up. The real aim is to be consistent with your training, and the overall details won’t matter as much. If you have the time and don’t feel the 12 week program is enough to get you ready, you can add extra weeks throughout to make it 16 or 20 weeks. Long runs: The key to the guide is the long run on weekends, which builds from 10 km in week 1 to 32 km in week 10. The long runs are really the ones you can’t miss. Run slow: Do your long runs at a comfortable pace, one that would allow you to converse with a training partner, at least during the beginning of the run. If you finish the long run at a pace significantly slower than your early pace, you need to start much slower. It’s better to run too slow during these long runs, than too fast, the purpose is to cover the prescribed distance. Walking breaks: It is okay to walk during the marathon, in particular your first marathon. You can walk during training runs too. In a race the best time to walk is entering a drinks station, that way you can drink more easily while walking as opposed to running. Cross-training: Sundays in the training guide are for cross-training. The best cross-training exercises are swimming, cycling or walking. You don’t have to cross-train the same way each weekend and you could even combine two or more exercises: walking and cycling or swimming and riding an exercise bike in a gym. Cross-training on Sunday will help you recover after your Saturday long runs. Midweek training: Sessions during the week should be done at an easy pace. Rest: Days designated to rest are very important. Muscles actually regenerate and get stronger during rest and rest helps prevent injury. The key to this guide is consistency – if you are feeling particularly tired at any stage, take an extra rest day and get your energy back to keep going. It’s important to start each training session with some stretches and gentle movement to prepare your body for your workout. After your session, cool down with more stretches to help with recovery.